Get Active at Lititz recCenter! APRIL is in ACTION at the rec! Time To Dance is a 15 week program at Lititz recCenter designed to build a dancer’s skills and confidence to commence with a showcase for students and families. Programs for all ages, many interests, and all abilities! Basic Ballet, tap, and creative movement. 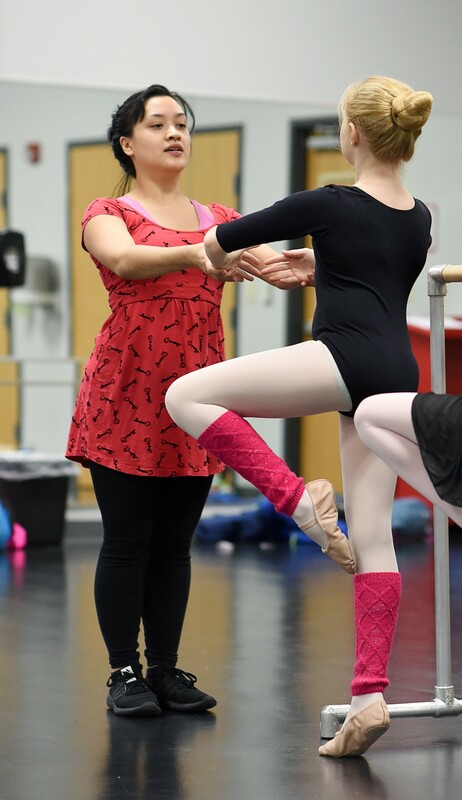 Beginner/intermediate ballet, tap, contemporary dance and choreography. Intermediate ballet, pre-pointe, contemporary and jazz/funk. Advanced ballet, pointe, and comtemporary dance. Upbeat rhythms, body isolations, floor work, improv. Jazz/funk, musical theater and hip-hop. Expressive dance with modern techniques. Body conditioning and stretch-flow, floor work, choreography. Jobs – Join our team! Celebrate 75 Years with Lititz recCenter! We are counting down to our very first Open House on June 23, 1945... join us to remember decades past - you can even submit a memory online! FIT TIP: Schedule family playtime. Take a walk or play a family game of tag after dinner each night. Choose activities that require movement, such as bowling, catch or miniature golf. GET EXCITED MEMBERS! NEW SPIN BIKES WILL BE ARRIVING TO THE STUDIO! We will order The M3i Keiser Spin Bikes. This is the most technologically advanced indoor group cycle in the industry!